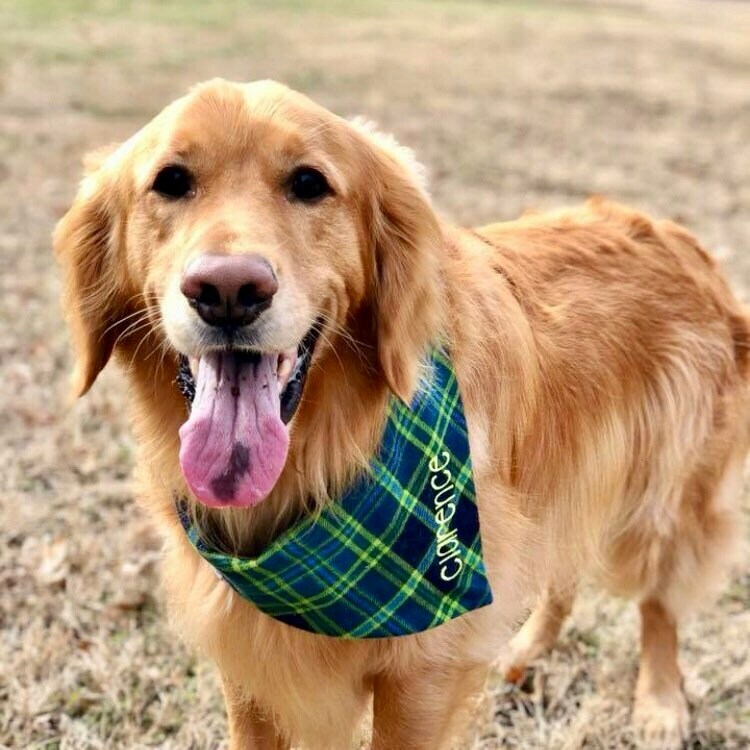 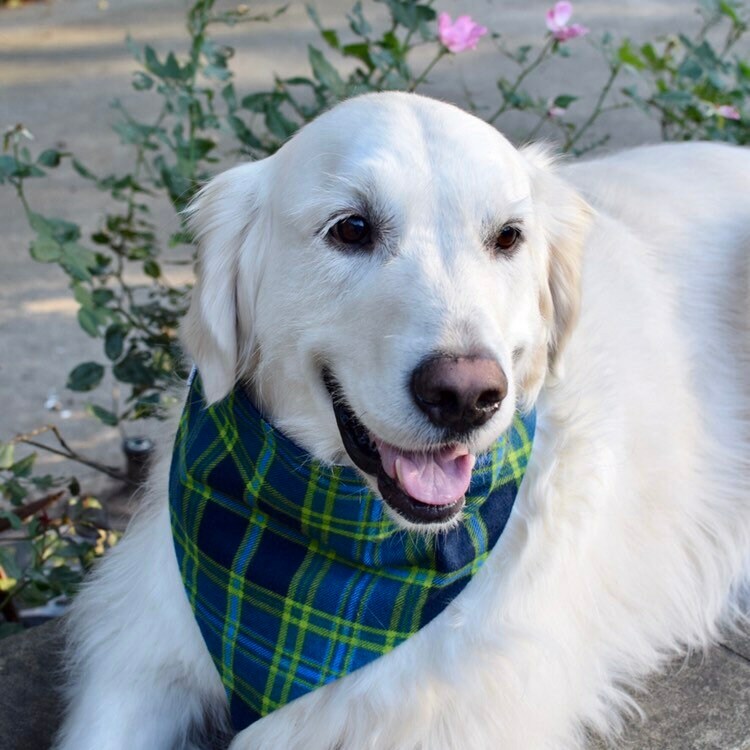 Flannel Plaid Dog Bandana in Green, Navy, and Aqua. 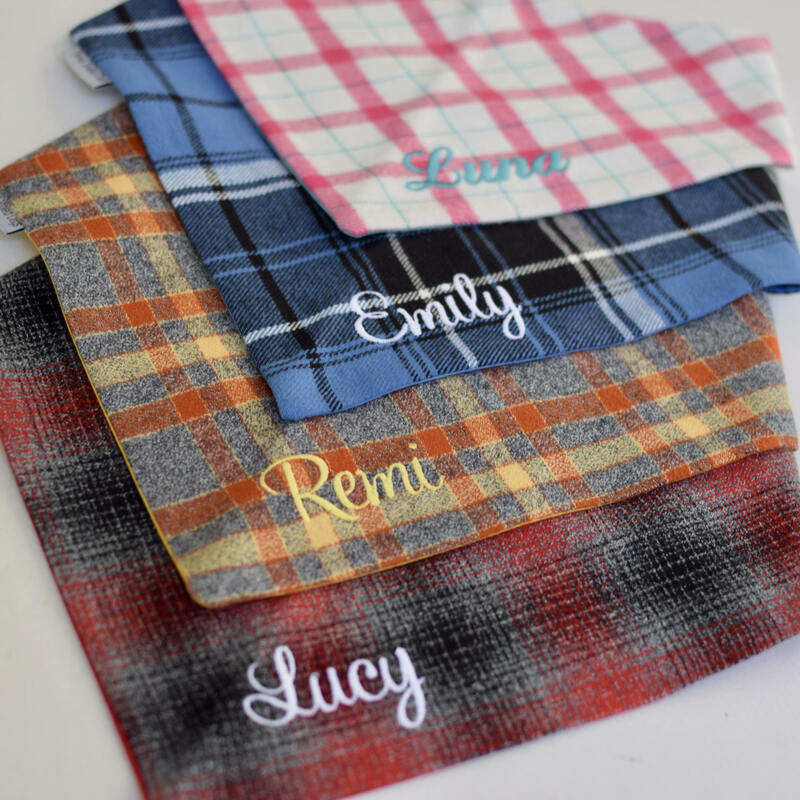 We have 20 Flannel Plaids in stock! 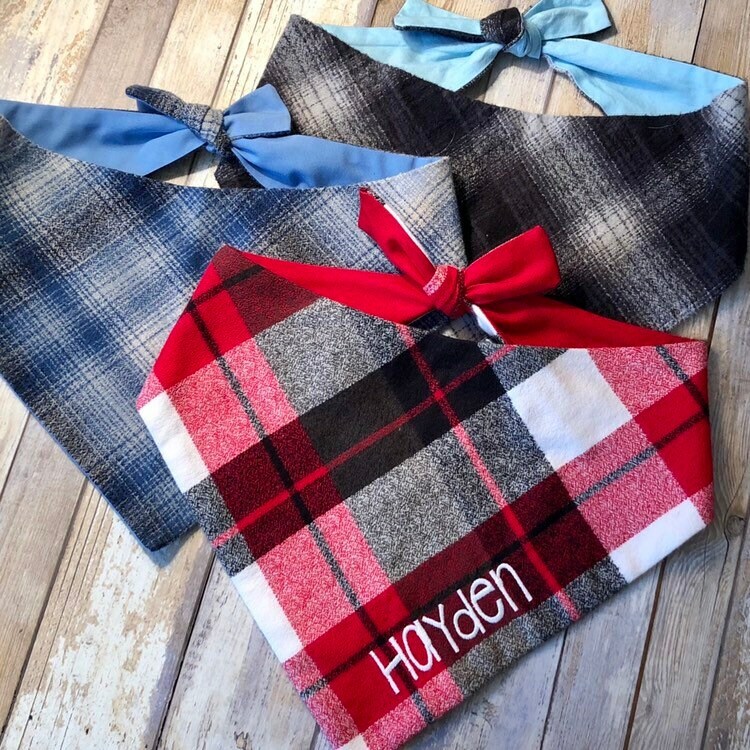 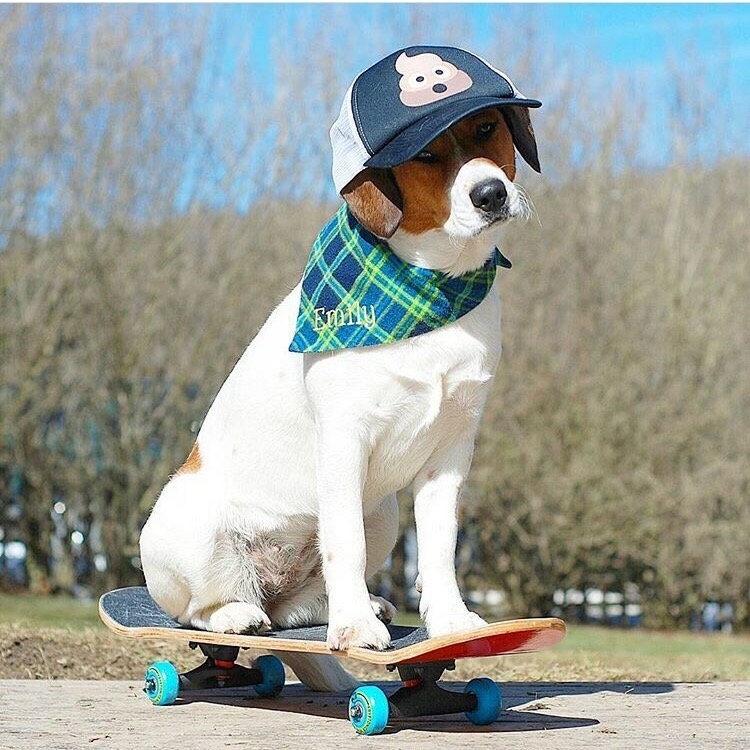 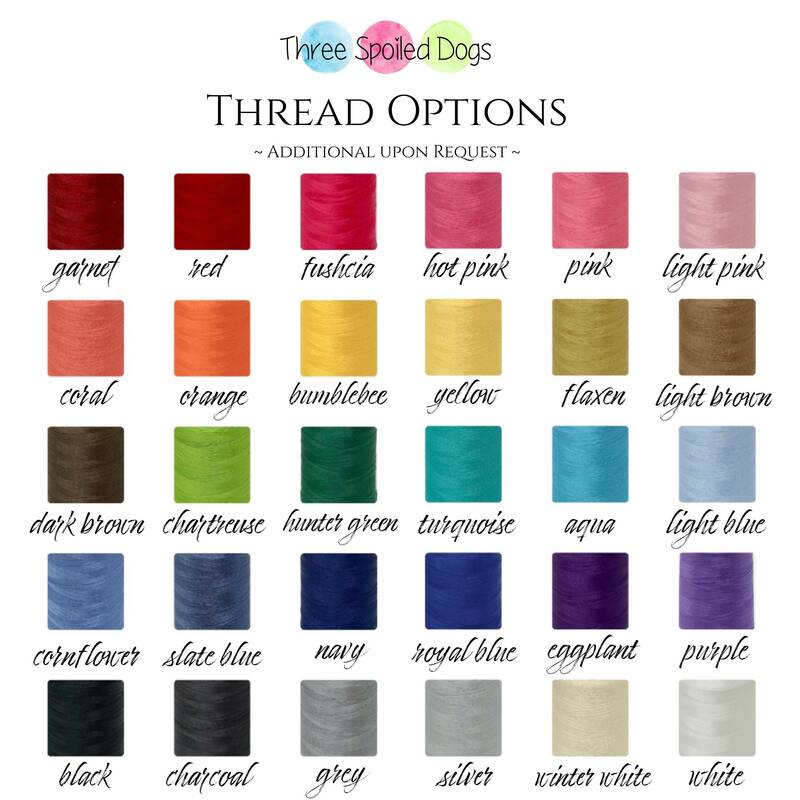 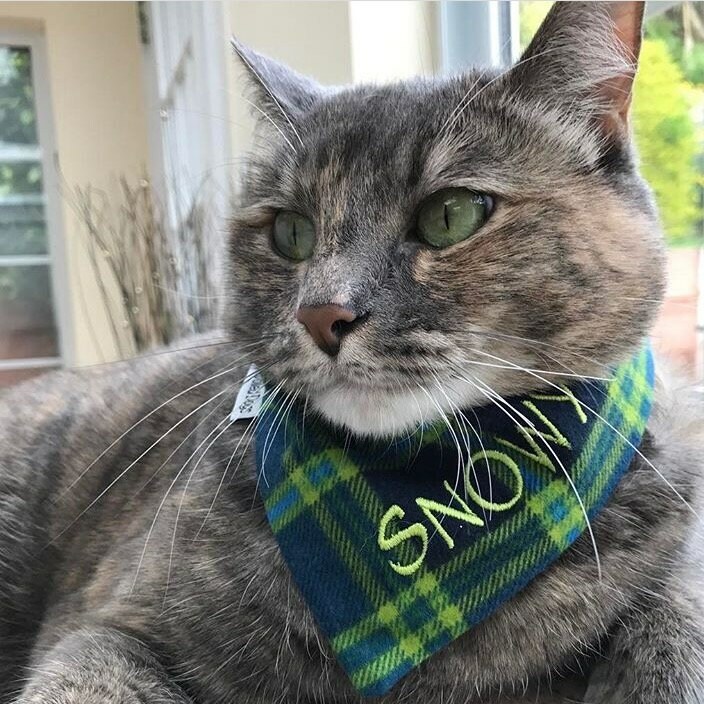 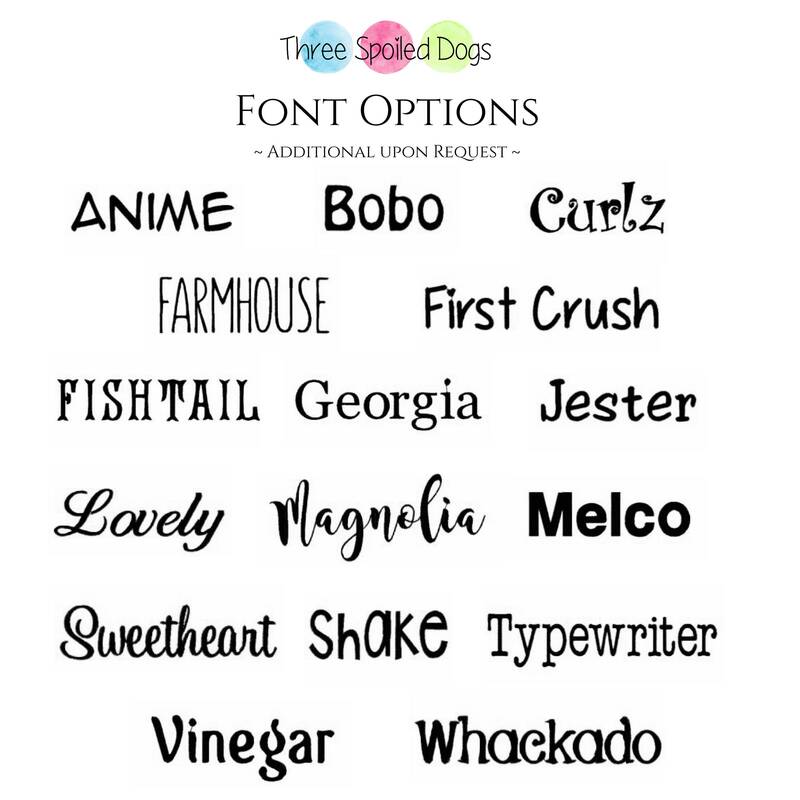 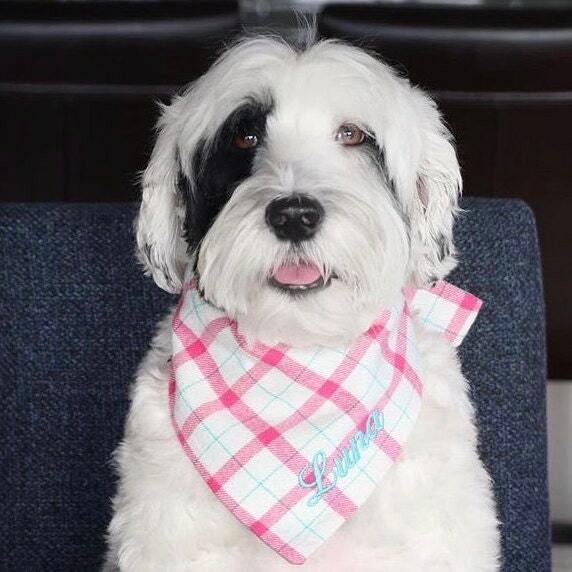 Three Spoiled Dogs offers unique and stylish bandanas designed and finished to be reversible so you get two beautiful bandanas for the price of one. 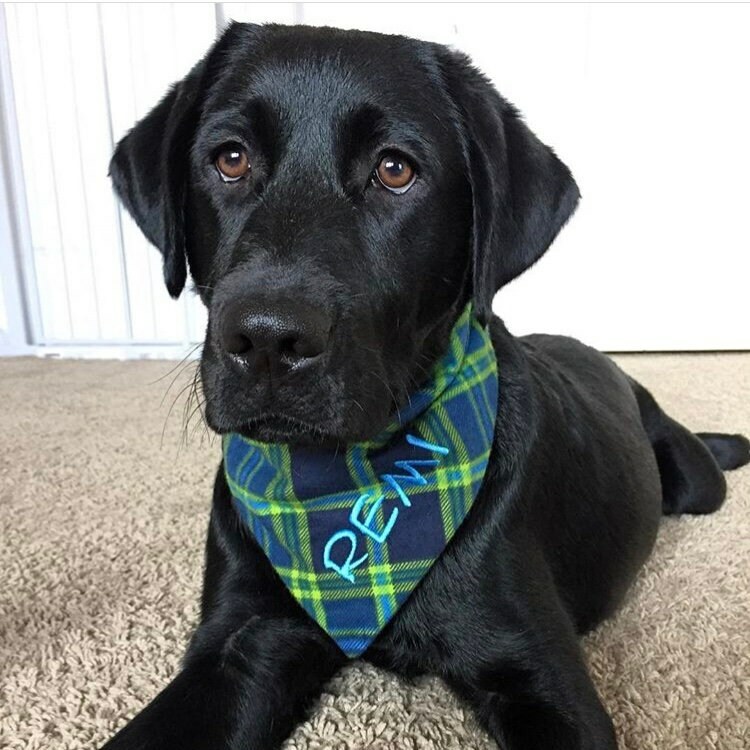 Our bandanas can also be embroidered with your pups name and our bow ties look ADORABLE with an initial, your pups first or last name!